AMMONNEWS - Minister of Foreign Affairs and Expatriate, Ayman Safadi, and Hungary Minister of Foreign Affairs and Trade, Peter Szijjarto, on Wednesday discussed bilateral ties and the regional developments and means to address them to achieve peace and stability. The meeting highlighted efforts to bolster economic and investment cooperation, especially in the sectors of energy, water, and tourism through creating the conditions for broader commercial trade and more joint projects between the private sectors in the two countries. Safadi pointed out to the significant returns on investments in Jordan, which constitutes a gateway to the region's economies. In joint statements following talks in Amman, Safadi pointed out to the importance of cooperation in the education sector, noting that Hungary offers 400 scholarships in its universities to Jordanians, while Jordan offers 100 scholarships to Hungarian students. The discussions also addressed the regional developments, especially in relation to the Palestinian cause, "our core issue," he added. He said that achieving comprehensive peace in the region is contingent upon solving the Palestinian-Israeli conflict on the basis of the two-state solution that guarantees setting up a Palestinian state on the borders of 4/6/1967 with East Jerusalem as its capital. "Jerusalem, as His Majesty King Abdullah, the Custodian of the Islamic and Christian Holy Sites in the city, stresses, is the key to peace," he said, adding that the status of Jerusalem should be settled through direct negotiations on the basis of the international legitimacy, which considers East Jerusalem an occupied land. 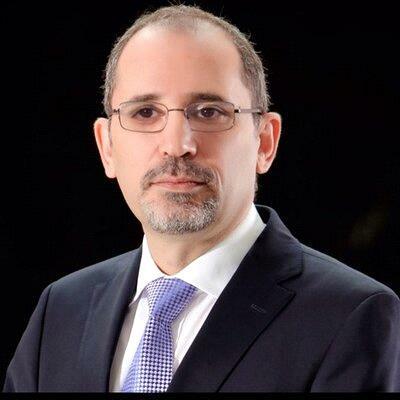 Safadi also addressed the Syrian crisis, emphasizing the importance of reaching a political solution accepted by the Syrians and would ensure the country's territorial integrity and create the conditions for the voluntary return of Syrian refugees, 1.3 million of whom are in Jordan. The meeting highlighted the ongoing bilateral cooperation and the international coalition in combatting terrorism, he said, pointing out that Hungary participated in the Aqaba meetings that aim at adopting a comprehensive approach to defeat terror. Szijjarto said that Hungary is keen to advance its cooperation with the Kingdom in several economic and investment areas, especially in the energy and water sectors. He emphasized the significance of boosting ties between the private sectors of the two countries, indicating that Hungary has allocated a USD90 million in bank facilities to support the commercial trade between Hungary and the Kingdom.